The new Food Service Rules and Regulations for food service operations in the State of Georgia will become effective on November 1, 2015. Prior to the effective date, you will be notified of opportunities to attend an update session regarding the major changes. These updated rules reflect the recommendations of the FDA Model Food Code of 2013. If you would like to view the regulations prior to their effective date, they may be accessed at the following link: http://dph.georgia.gov/food-rules-and-regulations . Cobb & Douglas Public Health had the opportunity to provide a Food Code Briefing for the Georgia Restaurant Association’s June webinar. Concentration was given to the top 5 risk factors for foodborn e illness, as well as information to help restaurant operators achieve better compliance with their food service inspections. 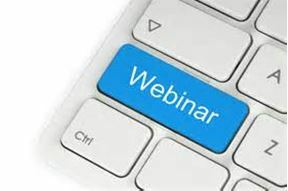 You do not need to be a GRA member to view the webinar; however, you will have to provide your name and e-mail address to gain access.